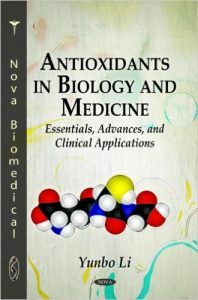 This is a book that takes a unique approach to integrating knowledge in antioxidants from essentials to advances, and from basic research to clinical applications. This book presents scientific information on antioxidants in an organised, cogent, and in-depth manner. The consistent format of writing, the full-colour illustrations, and the comprehensive list of references make the book accessible and engaging. Besides its value as a textbook for undergraduate and graduate students in life science, “Antioxidants in Biology and Medicine” will also be a useful reference for biomedical research scientists, clinicians, and other health professionals. Fully referenced and featuring a consistent organization, Goldfrank’s begins with an in-depth examination of general principles of medical toxicology. It then progresses to the biochemical principles and molecular basis of toxicology, and provides detailed insight into how xenobiotics affect vital signs, organs, and systems throughout the body. Next, a wide spectrum of clinically important exposures — including drugs, plants, metals, household products, occupational and environmental xenobiotics are covered within logical categories for easy access to information. Finally, the book concludes with sections on principles of practicing clinical toxicology in today’s challenging healthcare environment. Online learning center, available at www.goldfrankstoxicology.com, includes case studies, and a database of multiple choice questions that allow you to create a custom test for review and study. The world’s leading and most authoritative textbook on poisons has more to offer students,toxicologists, and pharmacologists than ever before. 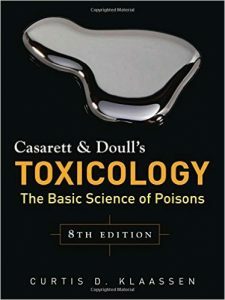 Now in full color, and thoroughly revised, the eighth edition of Casarett & Doull’s TOXICOLOGY: The Basic Science of Poisons not only delivers a comprehensive review of the essential components of toxicology, it offers the most up-to-date,revealing, and in-depth look at the systemic responses of toxic substance available anywhere. 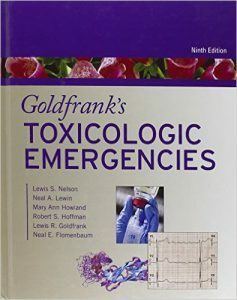 Combined with the latest thinking by the field’s foremost scholars plus solid coverage of general principles, modes of action, and chemical-specific toxicity, this landmark text continues to set the standard for toxicology references. This groundbreaking book covers every aspect of deadly toxic chemicals used as weapons of mass destruction and employed in conflicts, warfare and terrorism. Including findings from experimental as well as clinical studies, this one-of-a-kind handbook is prepared in a very user- friendly format that can easily be followed by students, teachers and researchers, as well as lay people. Stand-alone chapters on individual chemicals and major topics allow the reader to easily access required information without searching through the entire book. 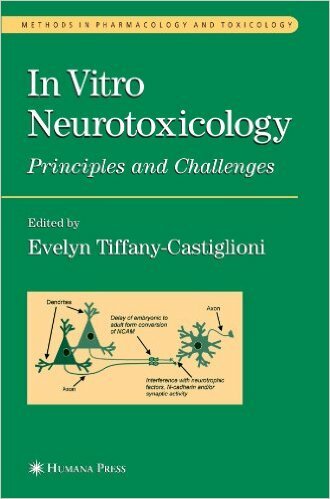 This is the first book that offers in-depth coverage of individual toxicants, target organ toxicity, major incidents, toxic effects in humans, animals and wildlife, biosensors, biomarkers, on-site and laboratory analytical methods, decontamination and detoxification procedures, prophylactic, therapeutic and countermeasures, and the role of homeland security. 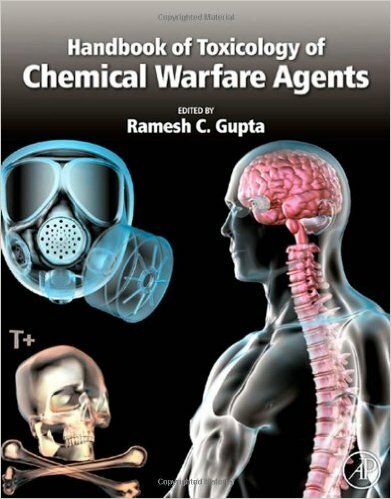 Presents a comprehensive look at all aspects of chemical warfare toxicology in one reference work. This saves researchers time in quickly accessing the very latest definitive details on toxicity of specific agents used in chemical warfare as opposed to searching through thousands of journal articles. Will include the most agent-specific information on the market. Includes detailed coverage of the most exhaustive list of agents possibly used as chemical warfare agents in one source. Section 4: Agents That Can Be Used as Weapons of Mass Destruction ? 25 chapters long. Other books on the market only include a sample selection of specific agents. Offering all possible agents detailed under one cover makes this appealing to a wider audience and saves researchers time. The Forward will be written by Dr. Tetsuo Satoh, Chiba University, Japan. He is one of the most respected, recognizable authorities on chemical warfare agents which will set the authoritative tone for the book. Covers risk to humans, animals and the environment equally. Researchers involved in assessing the risks involved with a possible chemical warfare attack and those who are developing response plans to such attacks must look at not only the risks to human health but to our wildlife and environment as well. The holistic approach taken in this book ensures that the researchers have ready access to the details no matter which aspect of the effects of CWA’s they might be concerned with. Working in the laboratory or office, you use a diverse assortment of basic information to design, conduct, and interpret toxicology studies and to perform risk assessments. 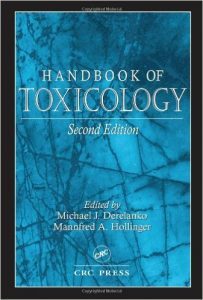 The Second Edition of the best-selling Handbook of Toxicology gives you the information you need in a single reference source. 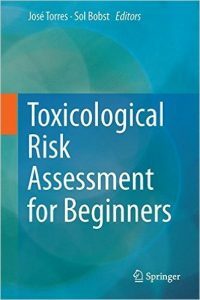 Updated and expanded, this unique book includes practical reference information useful to toxicologists in the chemical and pharmaceutical industries, contract laboratories, regulatory agencies, and academia. To help you find information quickly and easily, data is arranged by toxicology subspecialty and each chapter begins with a detailed listing of information presented. Containing over 700 tables and figures, Handbook of Toxicology, Second Edition gives you a single source for the information you use most often. 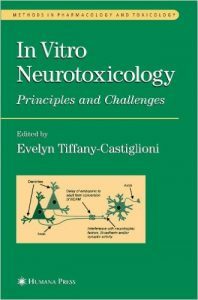 Well-respected leaders in the field of in vitro neurotoxicology take a fresh look at their own and other’s work, critically and comparatively analyzing it across experimental systems and toxicants, and synthesizing essential principles for in vitro neurotoxicity testing. Neurotoxicants of significance to human health are emphasized, especially those for which metabolism and dose-responses are well well studied both in vivo and in vitro: lead, mercury, organophosphorous insecticides, polychlorinated biphenyls and dioxin, ethanol, and endogenous proteins. The goal is to set out new concepts and research directions that will hasten significant improvement in the methods and systems for in vitro neurotoxicity testing. This book serves as a comprehensive introductory guide to the practical aspects of risk assessment. Chapters include clearly defined objectives and summaries. The book includes: hazard identification, dose-response, exposure assessment, risk characterization, chemical mixtures, epidemiology, emerging issues and global perspectives with accessible language. The book concludes with a set of hypothetical case studies. 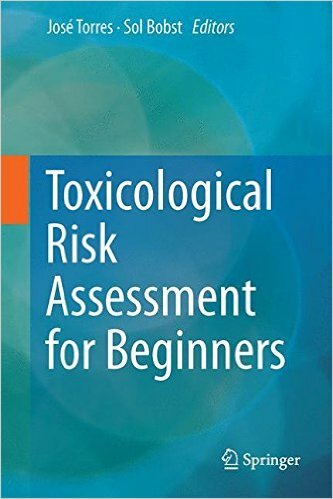 Toxicological Risk Assessment for Beginners aims not to create an expert, but rather to provide readers with their first understanding of the risk assessment topic. This book was designed with the student in mind. We simplify a complex process for beginners and balance theory with practical aspects, but remain fluid enough to increase difficulty with case studies. By incorporating an action based, step by step approach to learning the risk assessment process, this book provides its readers with an elementary understanding of how the risk assessment process is initiated, developed and finished, making it a valuable guide for graduate students, post-doctoral fellows and early career scientists in industry.